Networking is one of the most important things that you can do. It can literally change your life. These days it’s more about who you know than what you know. People are willing to share opportunities with people they know than with complete strangers. Let that sink in for a minute. You have a better chance of finding an opportunity through networking than by randomly trying to find it by yourself. You may be wondering how to get started when you’re networking. It’s not as difficult as you think it is. 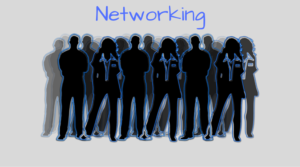 Below are a few tips that will help you network better. If you’re going to a networking event, it is better to arrive on time instead of showing up late. Some people like to be fashionably late all the time. They like to be seen. When attending a networking event, there is no reason to do that. Getting to a networking event early gives you a chance to scope out the scene and meet other attendees that arrive early. If you are at an event with someone that you know or recently met, you can have them introduce you to someone that you really want to meet. That will help you with your nerves, especially if you are shy. By being introduced to someone, it gives you a slightly higher chance of being remembered. When meeting someone for the first time, it’s good to ask easy questions. Networking is about building relationships. In the beginning, there is no reason to ask long or hard questions. Keep it simple. Once you have their business card or phone number. You can then ask other questions. A lot of people are natural talkers. There is nothing wrong with that. That’s just the way they are. When networking you have to shift some of the focus from talking to listening. You want to make sure that you are paying attention to what the person is saying. By doing that, you may be able to give them suggestions that could help them with something. Who knows what that connection could lead to? Trust me, the more you listen, the better your networking conversations will go. The final tip that I have for today is to follow up. It is very crucial to follow up with the new people that you met. For individuals whose conversations I really enjoyed, I get their business card and send them an e-mail. From there we usually connect on LinkedIn and in some occasions Facebook. Networking is very important. I’ve gotten a couple of part-time jobs through networking I’ve also received a few clients by doing that too. Networking is not easy for everyone. Some people are naturally shy, or they are just quiet. Getting out of your comfort zone and networking could change your life forever. There is no reason that you should hesitate when it comes to networking anymore. Start today!